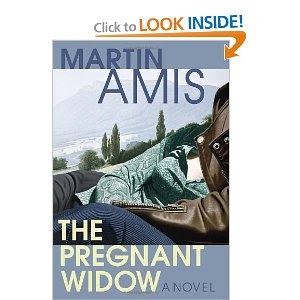 In The Pregnant Widow, Martin Amis sweeps us off to an Italian idyll circa 1970. Idle thinking is not featured in its prose. Here's an exemplar, from page 310 in a chapter called "Coda. Life." The Italian summer – that was the only passage in his whole existence that felt like a novel. It had chronology and truth (it did happen). But it also boasted the unities of time, place, and action; it aspired to at least partial coherence; it had some shape, some pattern, with its echelons, its bestiaries. Once that was over, all he had was truth and chronology – and, oh yes, the inherently tragic shape (rise, crest, fall), like the mouth on a tragic mask: and this is a face that is common to everybody who doesn't die young. But it turns out that there's another way of doing things, another mode, another genre. And I hereby christen it Life. Life is the world of Well Anyway, and Which Reminds Me, and He Said, She Said. Life has no time for the exalted proprieties, the ornate contrivances, and the intense stylisations of kitchen-sink. Life is not a court shoe, with its narrowing heel and arched sole; Life is the tasteless trotter down there at the other end of your leg. Life is made up as it goes along. It can never be rewritten. It can never be revised. Life comes in the form of sixteen-hour units, between waking up and going to sleep, between escaping from the unreal and re-embracing the unreal. There are over three hundred and sixty such units in every year. Gloria Beautyman, at least, will be giving us something that Life needs badly. Plot.